The use of sensors in hazardous areas can be realised through different, defined design concepts, referred to as ignition protection types. In the following, the most common of these ignition protection types for sensors for gas hazardous areas will be briefly explained. Constructive measures in/on the case prevent the propagation of an explosion from inside the electrical instrument to the surrounding explosive atmosphere. Limitation of the energy (power, current, voltage) in the circuit of the electrical instrument, so that a spark or thermal effect cannot trigger any ignition of an explosive atmosphere. In normal operation, under defined and described circumstances, the electrical instrument presents no ignition source. With ignition protection type Ex i “intrinsic safety”, one is easily talking about the most common ignition protection type for sensors. The circuits of these electrical instruments are designed, in terms of their energy (power, current, voltage), so that neither a spark nor the thermal development of the components used could cause ignition of the hazardous environment. The ignition protection type Ex d “flameproof enclosure” allows the ignition of an explosion inside the electrical instrument. However, the constructive design of the instrument prevents this explosion from being able to escape from the instrument and thus igniting the explosive atmosphere there. This is, for example, achieved by an appropriate thickness of the case wall, compliance with gap dimensions and additional specifications for installation. While the ignition protection types already described can enable the use of electrical instruments (sensors) in zones 0, 1 and 2, electrical instruments with ignition protection type Ex nA “non-sparking equipment” are only suitable for use in zone 2. As the name implies, these instruments are unable to cause a spark and nor do they contain any source of ignition from hot surfaces. However, this is only the case in normal operation, since in zone 2 an explosive atmosphere may only exist rarely and for a short time and a simultaneous failure of the instrument is very unlikely. As already described, these are the most common ignition protection types for sensors, but not all of them. The selection of the ignition protection type of the electrical instruments is determined by the specification of the operator and their ignition protection concept for the machine or plant. This can differ strongly, for instance from region to region. For example, in Europe the ignition protection type Ex i is very widespread, while in the USA, the ignition protection type Ex d, under the description “flameproof enclosure”, is very often used. 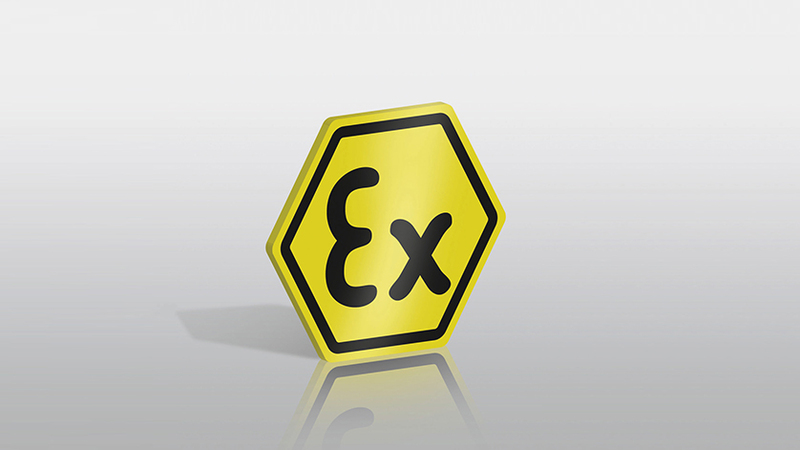 Further information on Ex d can be found in the blog post “Why it is important to choose explosion-proof pressure transmitters carefully …”. Details on the model IS-3 ex pressure sensor with ignition protection types Ex ia und Ex nA can be found on the WIKA website. For almost 10 years, I have been looking after products from various areas of measurement and control technology - since 2016 at WIKA as a product manager in the field of electronic pressure measurement. Within this, my focus lies with the products for hazardous areas, for refrigeration technology and products with bus technology. The WIKA blog offers us a very good opportunity to convey knowledge and to answer recurrent questions. I would be very happy to receive feedback on and suggestions for articles.